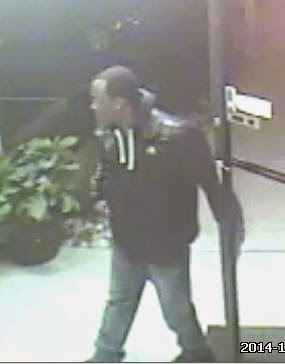 On November 4, 2014 at approximately 6:45 pm an armed carjacking occurred at the Executive Lodge located on Absecon Blvd. The 70 year old victim, whom police are not identifying, had just pulled into the parking lot when the suspects pulled into the parking lot directly behind the victim. One suspect is observed exiting the vehicle and going to the front desk of the Motel. While this suspect is inside the motel, two more suspects exit an unknown model vehicle and begin walking toward the rooms of the motel until they see the driver and a female passenger exit the vehicle. Once the victim and passenger exit the vehicle the two suspects confront the victim. A black male wearing a plaid jacket confronted the driver armed with a handgun and assaulted him. Both suspects took items from the victim along with the vehicle keys. The suspect's then entered the vehicle, a 1998 Mercedes Benz model 430, maroon in color and left the parking lot heading west on Absecon Blvd. 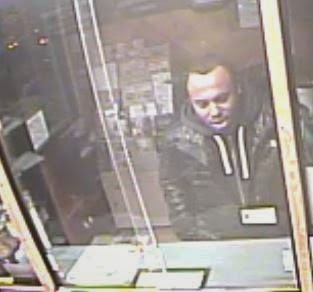 The suspect that was inside the motel lobby is observed exiting the lobby and returning to the suspects’ vehicle and he then follows the victim’s car as it leaves the lot. This vehicle also heads west on Absecon Blvd. The victim ,who sustained minor injuries, then called the police. The two suspect not pictured are described as black males, one is about six feet tall 180 Lbs with light facial hair, and possibly in his mid thirties. The second suspect is described as about 5-10, early to mid thirties, and also having some facial hair.